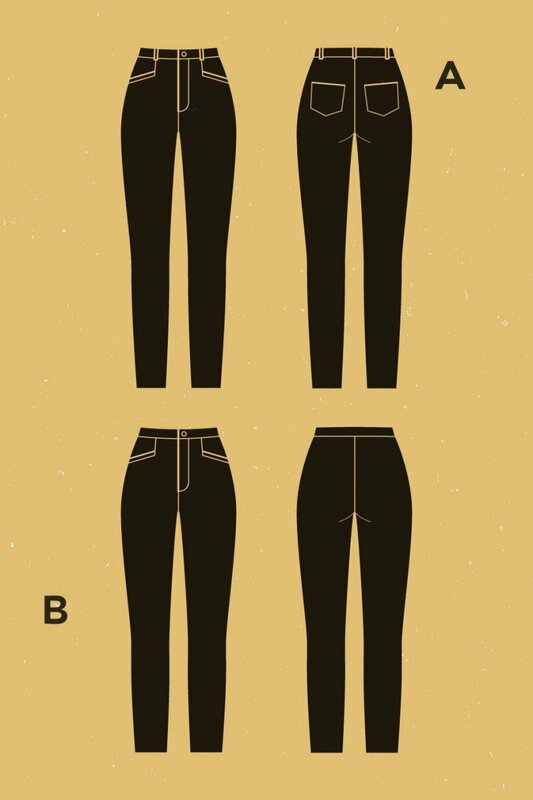 The Safran Pants by Deer & Doe Patterns are high waisted skinny jeans and pants. Version A has back pockets and belt loops, and version B is pared down with a cropped ankle length. Fabric used for version A: Stretch denim. Fabric used for version B: Stretch peachskin.